Apologies for the lack of posts recently. I have been married to my sewing machine for the past few weeks. My children began applying the pressure two weeks ago. 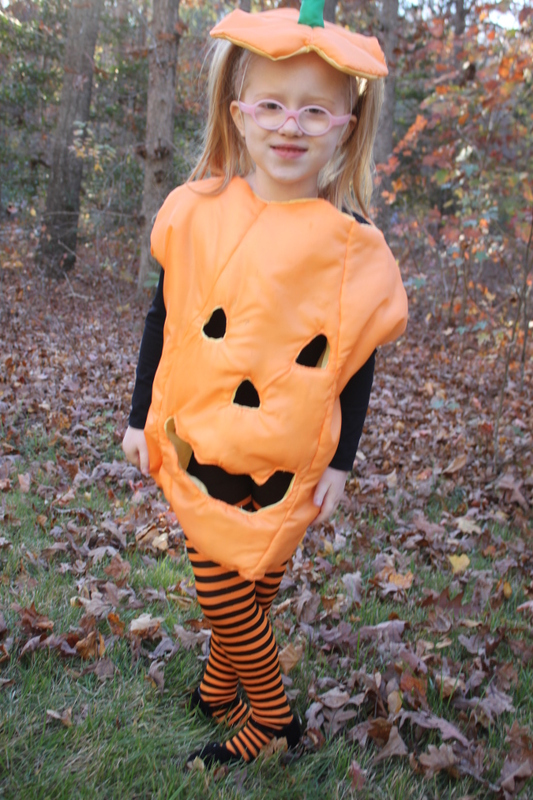 “Mom, there are exactly 11 days until Halloween and you need to sew our costumes!” We have been so busy that it all came together in a last-minute crush of sewing. 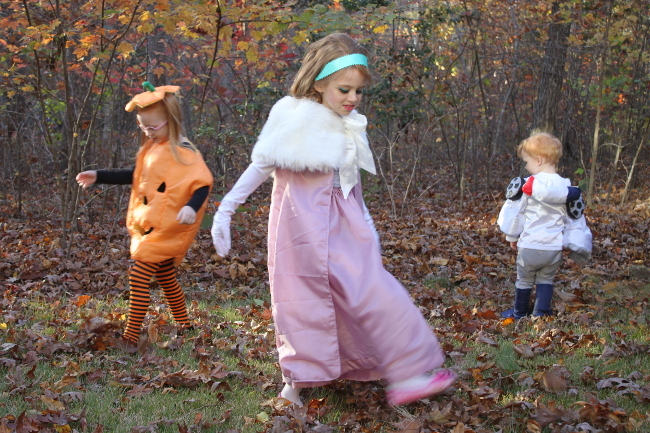 While in years past, we have generally had a sort of theme for our family costumes, this year, everyone chose their own costume and we were a motley mix of things. 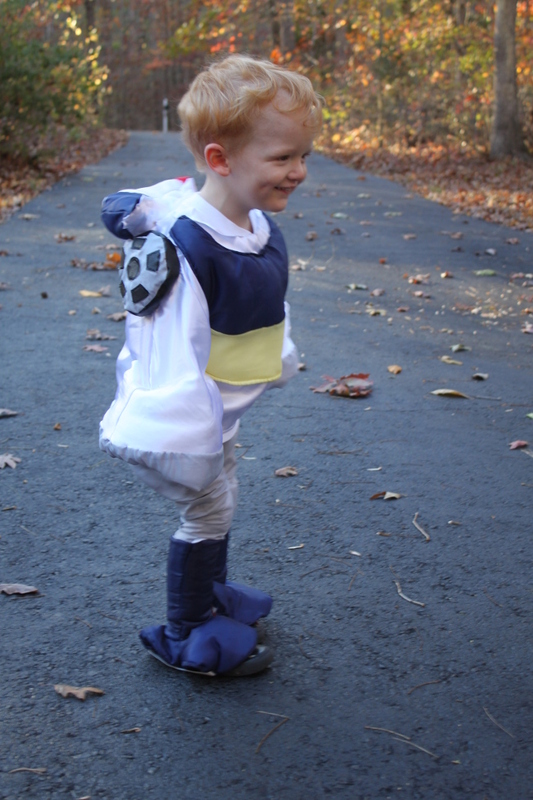 My 6-year-old’s costume was the first one finished. 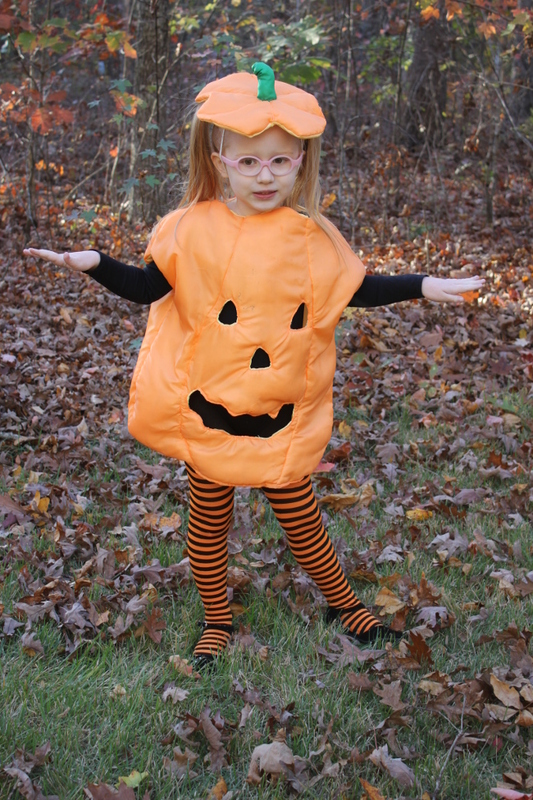 She insisted that she needed to be a jack ‘o lantern this year–one that she could pop out of and surprise people. 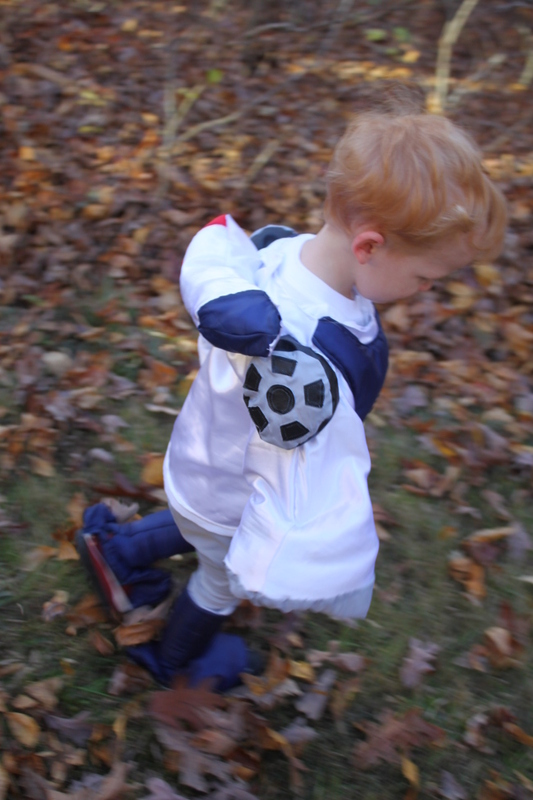 I created the costume out of inexpensive lining fabric and polyester batting material. It came out rather well with some nice dimension to it. We also changed the design at the last stages so that the leg area remained open for greater leg movement. 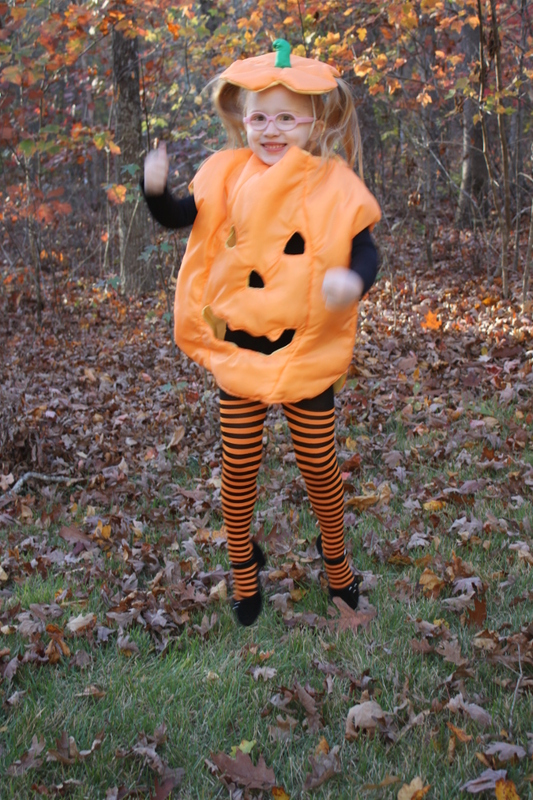 We paired it with my favorite black and orange tights we had on hand as well as a black dance leotard from her closet and black heeled shoes. It was a great fit for her exuberant personality. 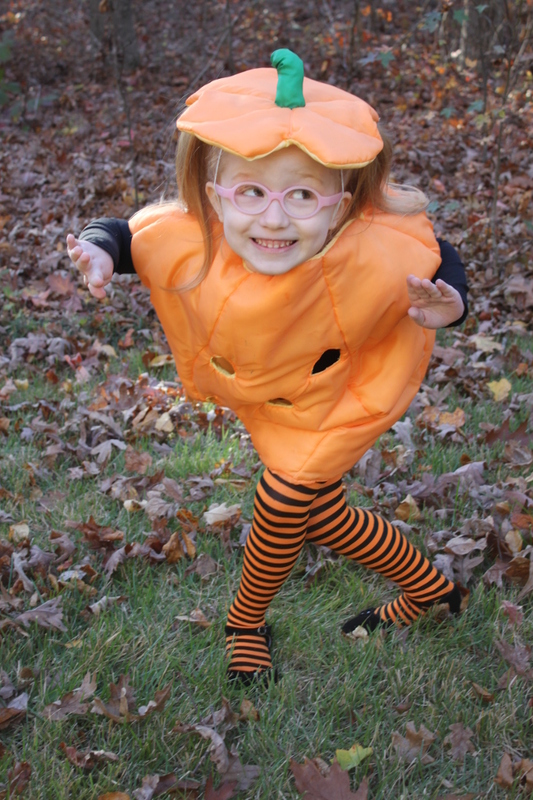 A pumpkin in fifth position. 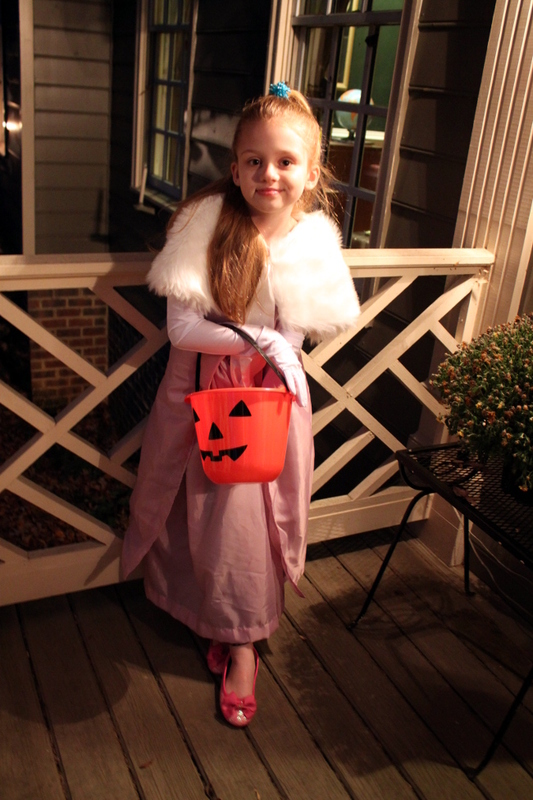 My eldest daughter always likes to be something beautiful on Halloween. 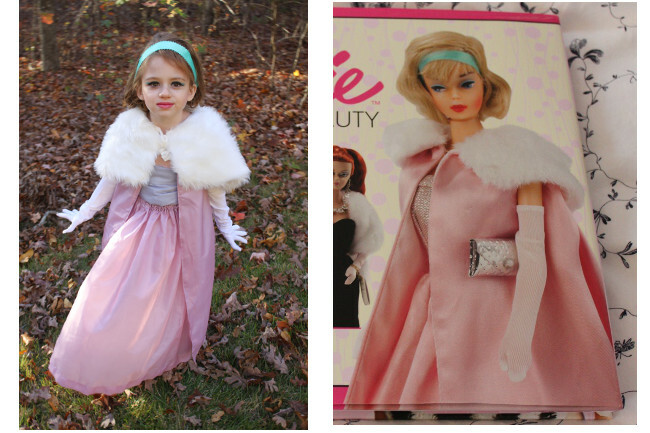 This year, we were inspired by a book on vintage Barbies that was a Christmas present a few years back. 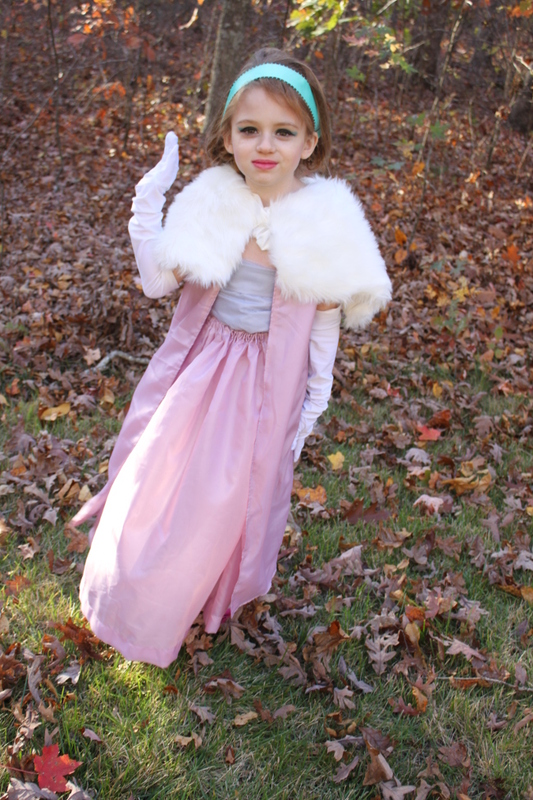 I thought it would be fun to choose a mod-style Barbie from the 1960’s but my daughter preferred a more 1950’s Jackie O-style look in “midnight pink.” I sewed all but the gloves and faux fur stole, which we purchased. 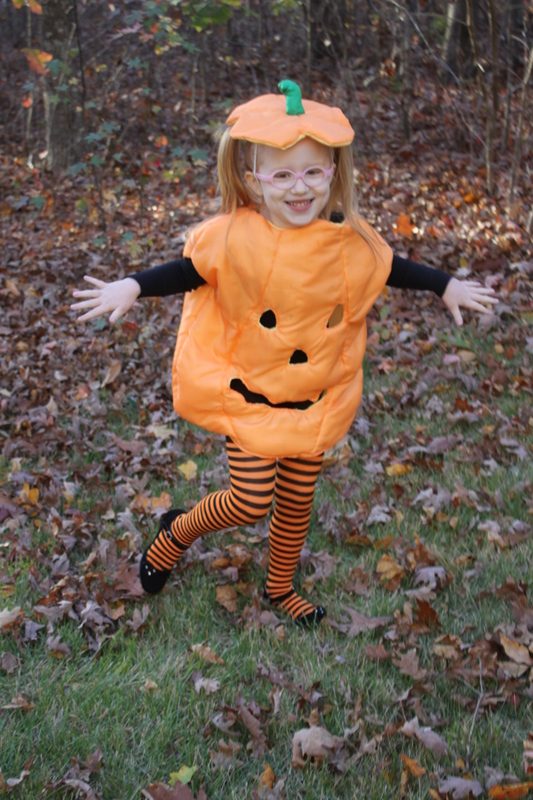 We look forward to her re-wearing this costume when we attend the ballet. 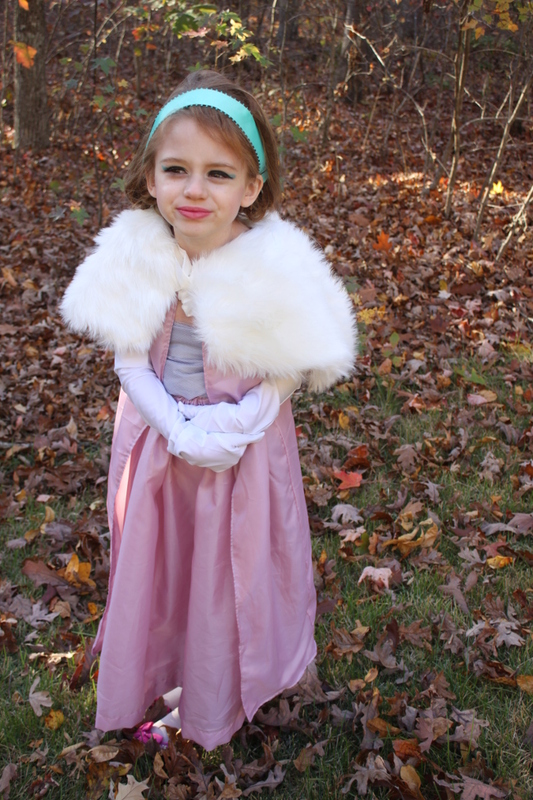 The look we used for Halloween trick-or-treating. 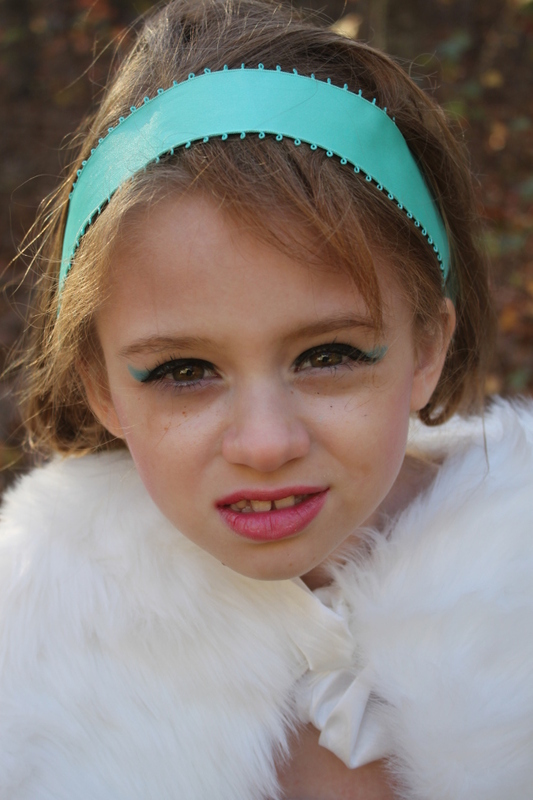 Having a little fun with hair and makeup and a photo shoot a few days later trying to make her look as much like the Barbie picture as we could. 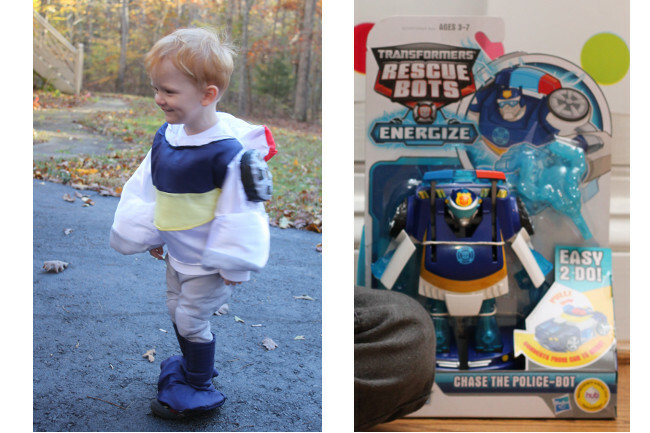 For my son, we tried to recreate one of his favorite toys of the moment, the Transformers Rescue Bot. While he much prefers the transformers in their vehicle format, he will tolerate them transforming into robots for brief occasions. 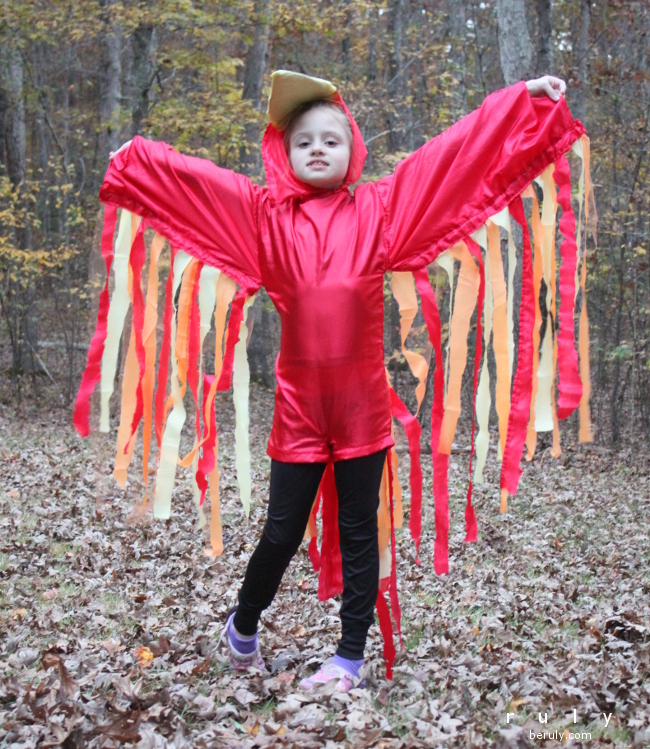 This costume took quite a lot of sewing effort. There are many details in superhero costumes. I simplified it as much as I could. 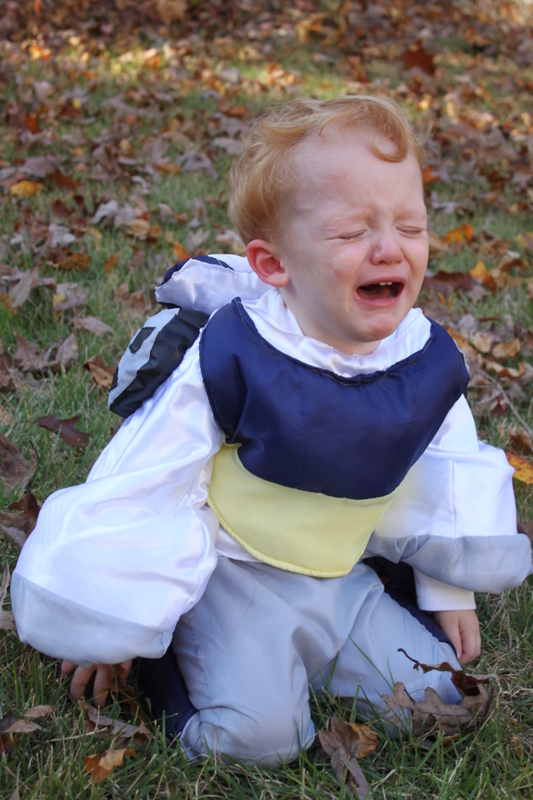 Unfortunately, my son cried and cried as we put this costume on. “Take it off!” he cried. 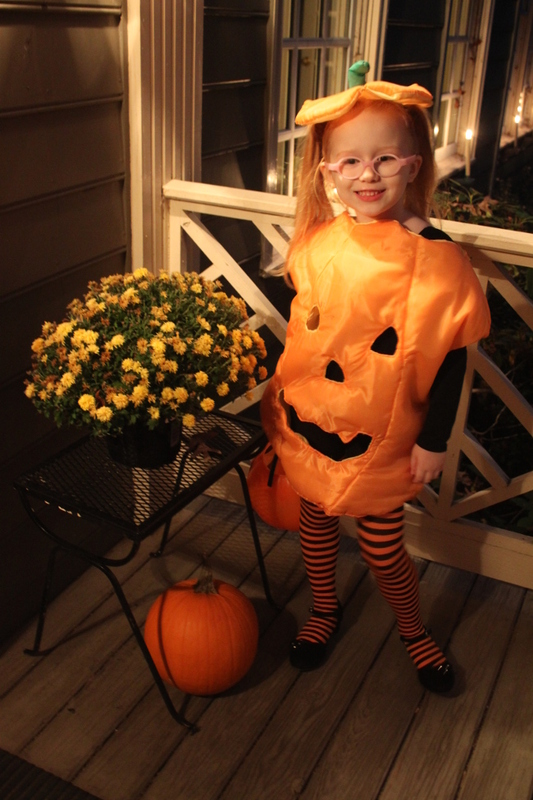 After a little convincing, her was willing to wear it trick-or-treating. 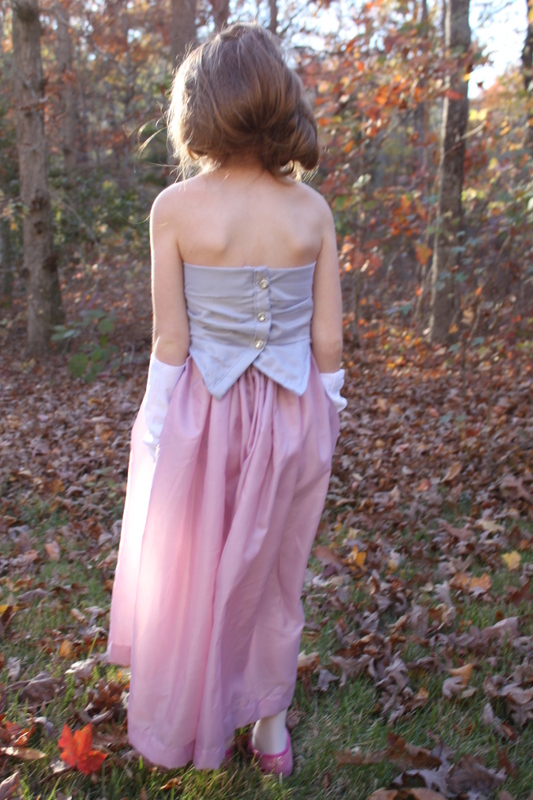 With all the sewing for the children, there was no time for my own costume. I wanted to use my costume to announce to our neighbors our upcoming new addition. I found an orange dress in my closet that suited perfectly as a Halloween maternity tunic when paired with a black turtleneck. Then in 5 minutes, I cut out some pieces of black fabric and glued them on. Voila! It was a fun way to spread the news. The Halloween themed pregnancy announcement. 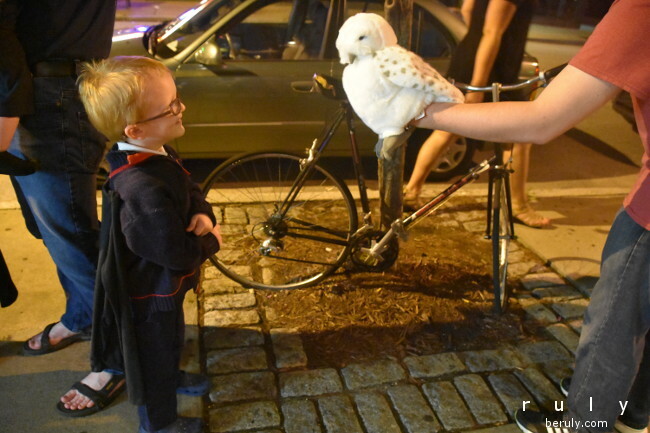 Baby’s first costume. 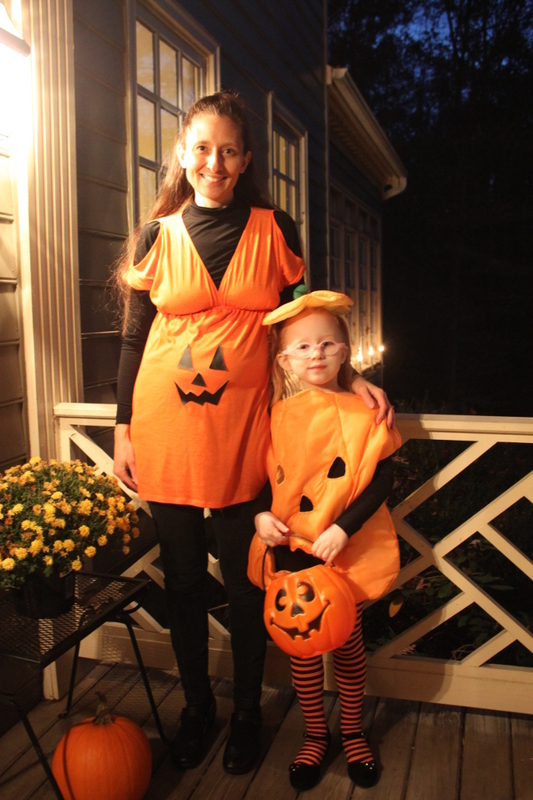 We had a perfect evening for Halloween trick or treating. It was not so chilly that we needed to cover up our costumes with coats. 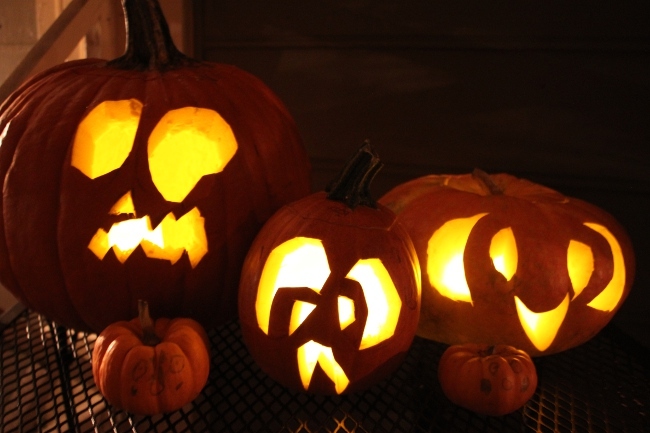 We received many wonderful treats from our neighbors and had fun seeing all the costumes of our friends. It seems Elsa from Frozen was the most popular costume for girls this year and that Mexican-inspired Day of the Dead costumes were the trendiest. 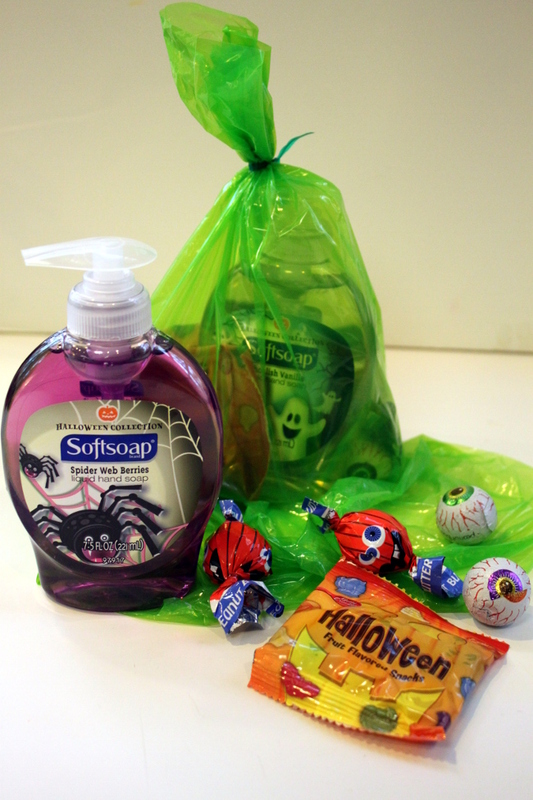 Our treat sacks this year included Halloween hand soap, fruit snacks, Halloween-themed Pop Tarts and a few chocolates. It is the very end of fall here in Virginia. There are not many leaves left on the trees but the ones that remain have turned brilliant shades of red and orange. 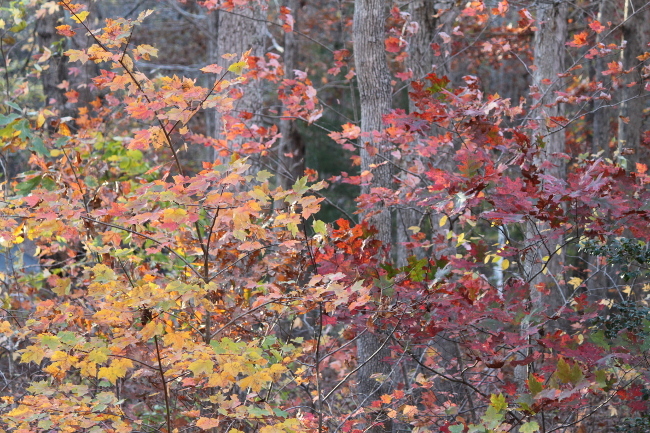 The woods seem ablaze in gorgeous color. 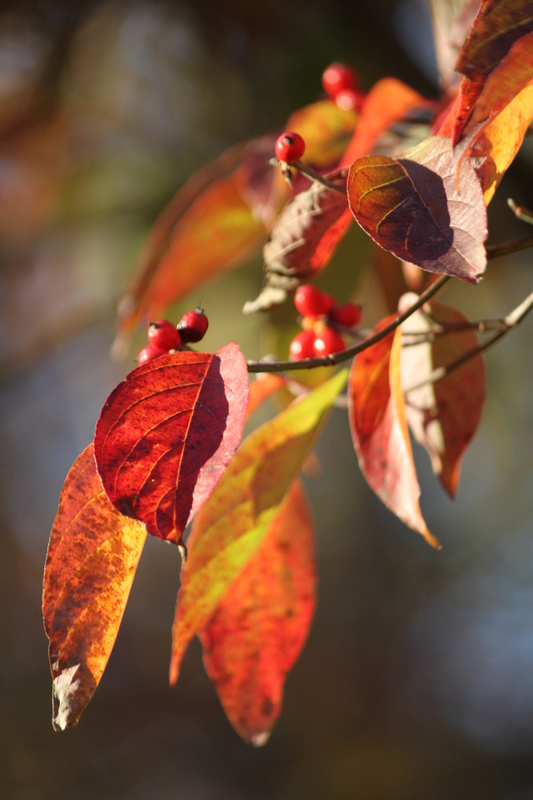 The dogwood leaves are some of the most colorful right now, paired with their red fall berries.